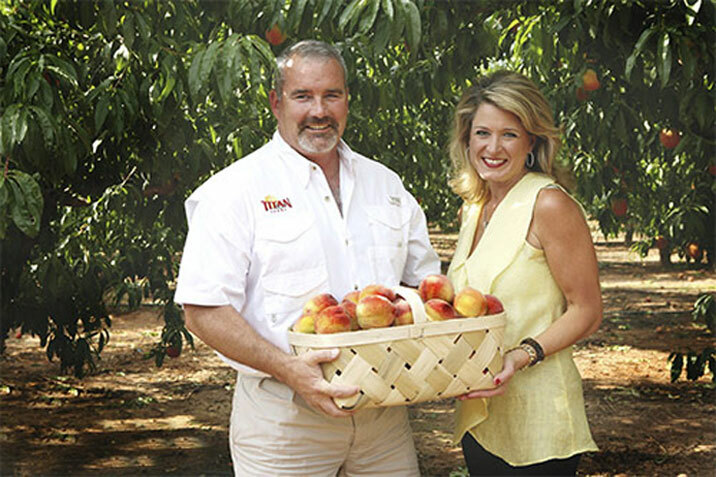 For first-generation farmer Chalmers Carr and his wife Lori Anne, the peach business has been ripe with sweet success. In 2001, Carr opened Titan Farms in Ridge Spring, South Carolina and now the producer of peaches, bell peppers and broccoli has become one of the largest and fastest growing farming operations in America. 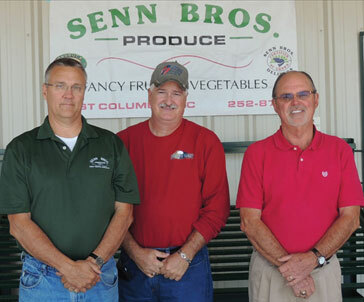 Senn Brothers started in 1944 with two brothers who aimed at having their own produce business. Two quickly jumped to six, as four other Senn brothers joined the company, and ever since then, Senn Brothers Inc. has been a family operated business. Walther Farms is a 3rd generation family farm that has been farming since 1946. Leonard Walther Sr. and his wife Regina started Walther Farms in 1945 in Clio, Michigan. There is a good reason why more than 26,900 farmers who keep 4.8 million acres of farmland alive and growing call South Carolina home. The Palmetto State is a prime example of a place where communities understand and appreciate the work of their farmers. Many South Carolinians who aren’t directly linked to farming today still have family roots in agriculture, and go above and beyond to foster the growth of agriculture in our state. With the enthusiasm our consumers have for local food, it’s easy to understand how programs like Certified SC Grown have grown to be such a success. South Carolina’s growing network of agribusiness-related companies and suppliers, distributed across every county in the state, includes family owned and operated farms, large scale private farms, livestock producers, major food manufacturers and processors, and wood and timber related companies of all sizes. Several key components make this state fertile ground for agribusiness growth. For new businesses or ones with expansion or relocation plans, South Carolina has an offer many industries find hard to refuse. Through its education system, South Carolina demonstrates its commitment to growing and developing agribusiness and its workforce. Clemson University’s College of Agriculture, Forestry and Life Sciences offers many degree programs, both undergraduate and graduate, related to the agribusiness industry such as agricultural education, agricultural business, forest resources management and food packaging science. If a firm has a need for a process specific skill, the Technical College System and Ready SC, which have trained over 265,000 people since 1961, can be ready to develop training programs for new food processors. South Carolina is ranked 2nd for “Top States for Doing Business,” in terms of Leading Workforce Development Program by Area Development magazine, and hopes to expand more of its workforce into the agribusiness and food processing industries. South Carolina can offer a vast amount of savings to food processing and agribusiness, in terms of hourly wages for workers in these industries. As a right-to-work state, employers in South Carolina have the right to operate their businesses and manage their workforce free of union influences. The Annual Cost of Living Index (COLI) that compares all states, metropolitan areas and counties in the United States for 2012, shows that South Carolina has a lower cost of living than neighboring states of Georgia and North Carolina. The average value of $1 across the United States can purchase $1.13 worth of goods and services in South Carolina. This information is just a highlight of the many benefits agribusinesses and food processors could reap from doing business in South Carolina. Agribusiness and food processing are a good match for the state and its rural economy. Capital investments from outside firms would create economic attention for South Carolina’s more needy areas and bring new jobs to the workforce. 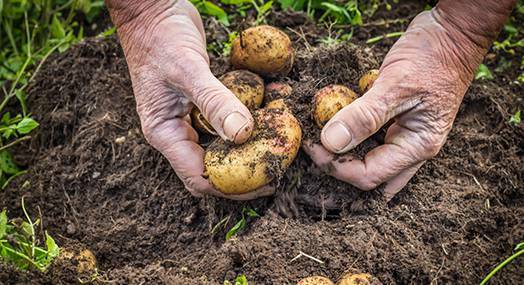 South Carolina has unlimited potential to become a large supplier of specialty agriculture with its extended growing seasons a year, fertile soil, and relatively low-cost land compared to other parts of the U.S. The majority of the U.S., the growing season only ranges from 120-150 days, yet S.C. falls within the 10% of the U.S. that enjoys a 240+ day growing season, perfect for higher value crops. 4,728,000 acres of South Carolina are classified as agricultural land. For one of the smallest states outside New England, South Carolina has a significant amount of farmland space available for processing. From a logistics standpoint, South Carolina is hard to beat. This area is within 1,000 miles of 75% of the U.S. population; perfect for shipping perishable and non-perishable items domestically. These interstates are enhanced by more than 41,000 miles of state-maintained highways, offering excellent east-west and north-south access. Also, the Port of Charleston and the Port of Savannah make it one of the best locations for importing and exporting internationally. With two of the top 10 largest US Custom Districts ports nearby, this region has a significant amount of potential for food processors and agribusinesses. Savannah already exports 40% of the US container broilers and Charleston is growing at a rate 12% higher than the rest of the nation. The Port of Charleston is also known as the most productive port in North America.